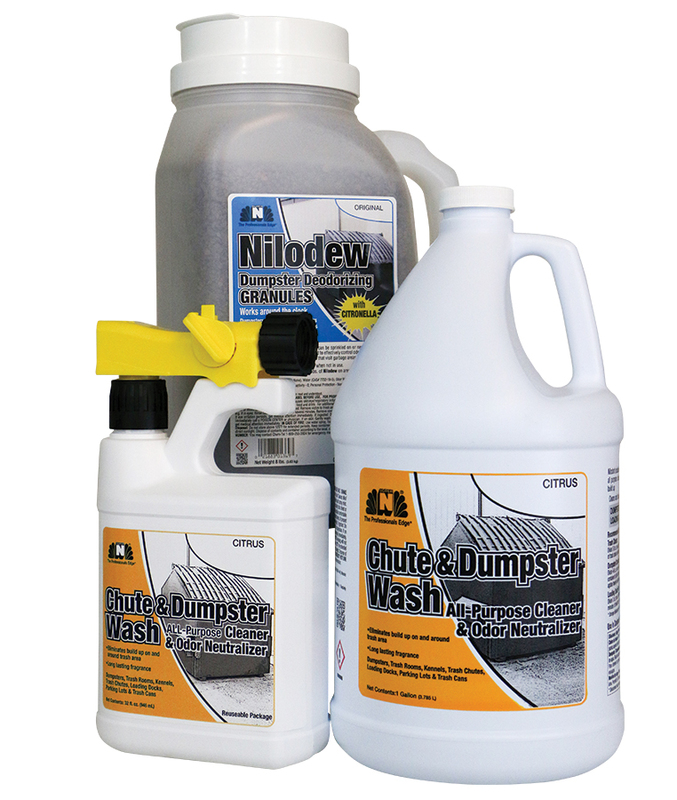 Nilodor Dumpster Deodorizing Kit allows you to clean grease and odor causing residue and deodorize your dumpsters and trash chutes. Kit comes complete with one gallon of Chute & Dumpster Wash, one proportioning bottle with hose-spray applicator and one 8lb. container of Nilodew. Proportioning bottle is a reusable container. Use the gallon as a refill.